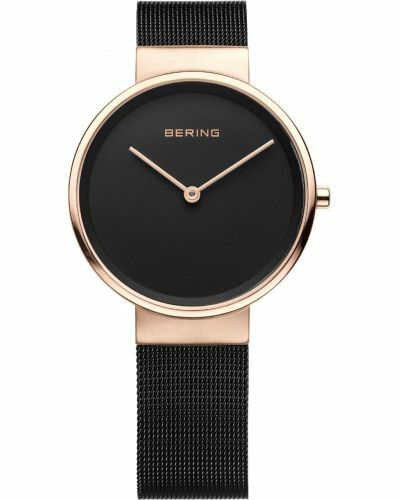 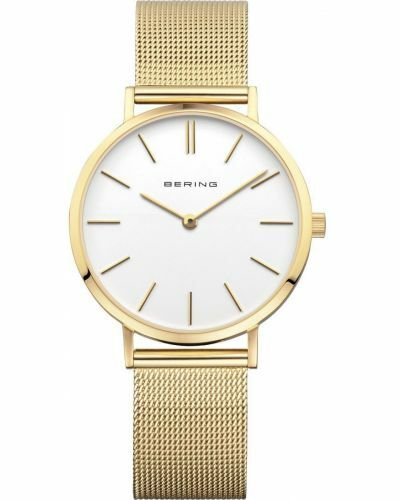 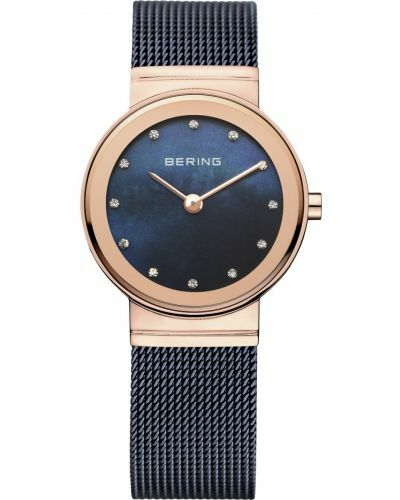 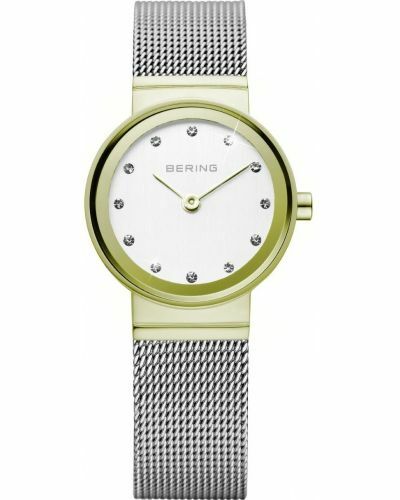 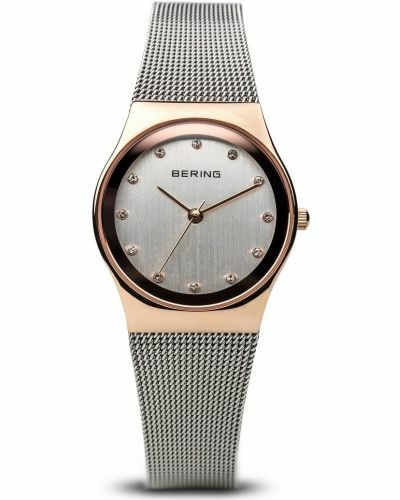 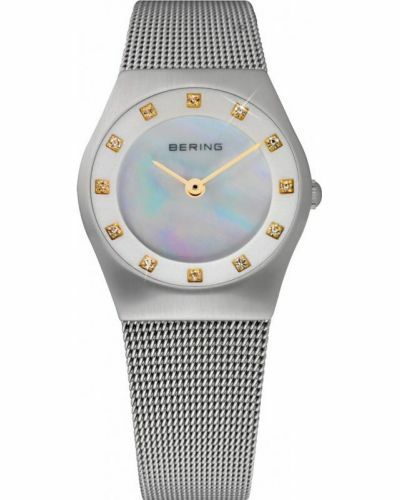 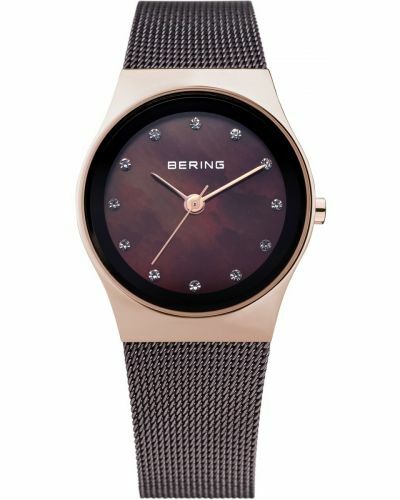 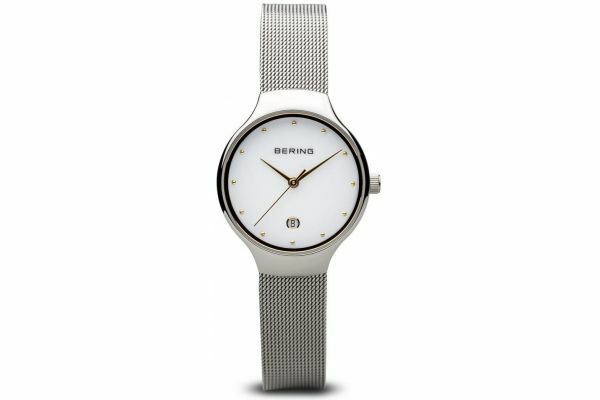 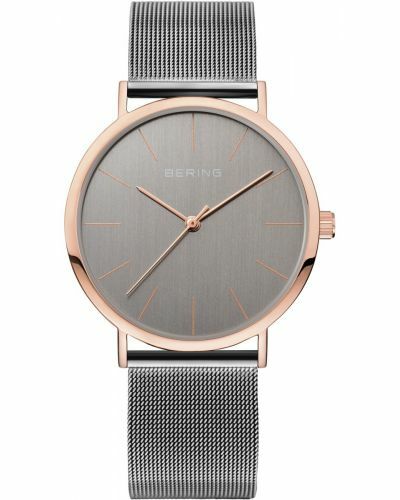 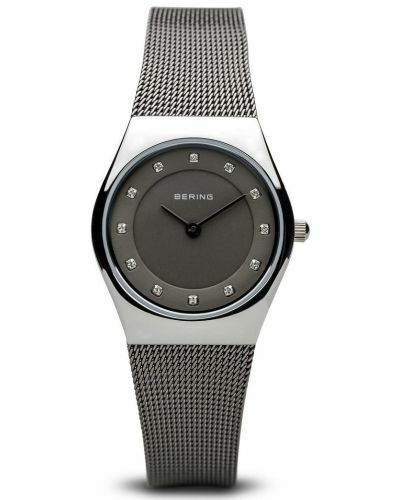 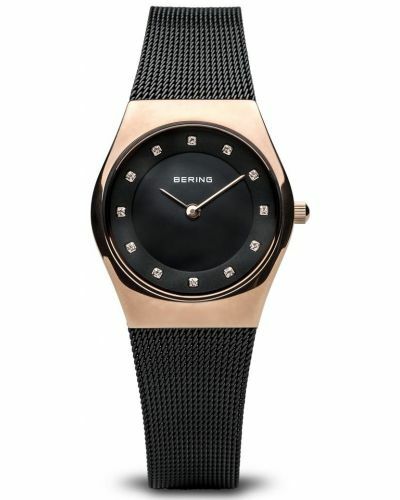 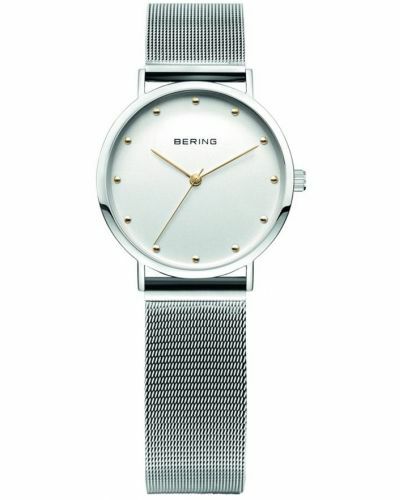 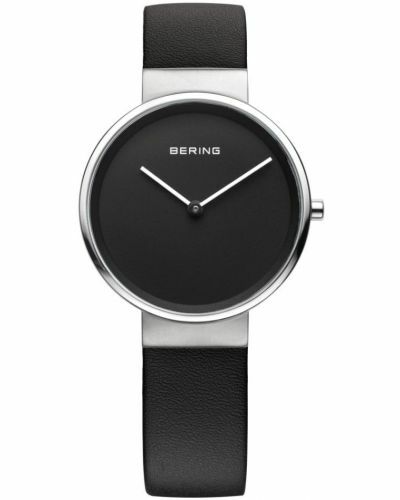 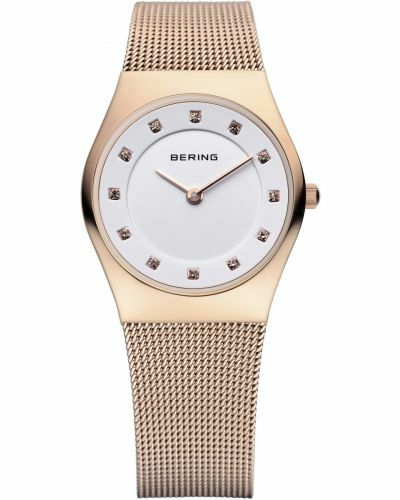 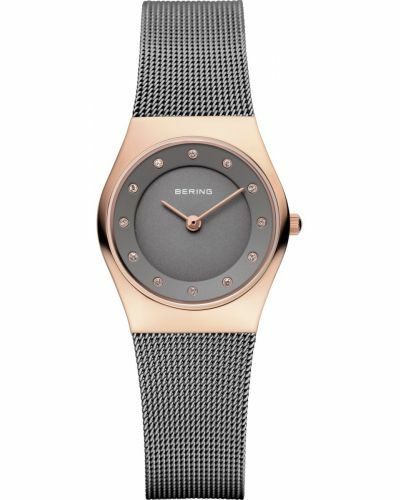 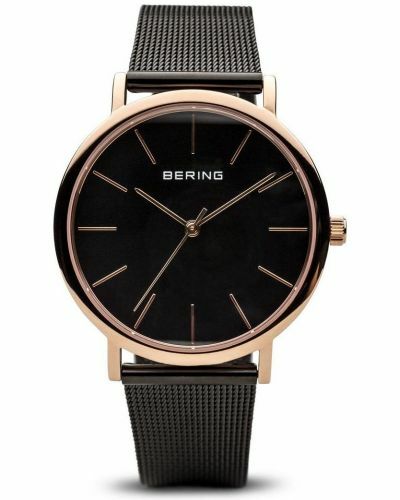 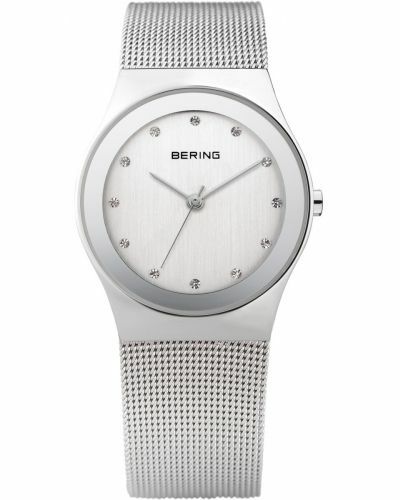 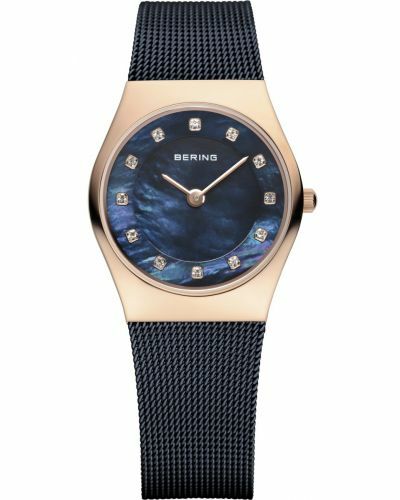 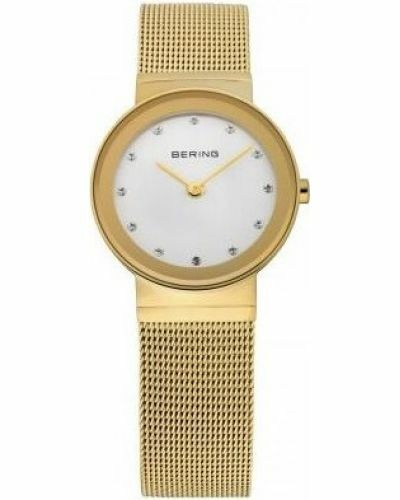 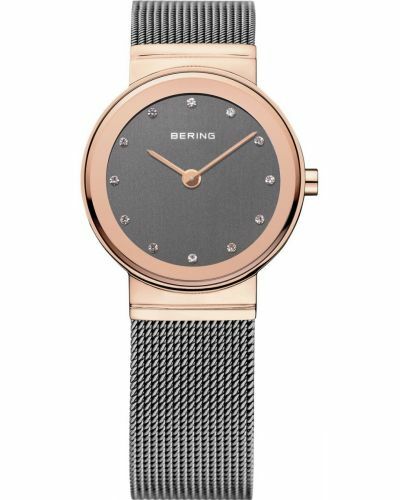 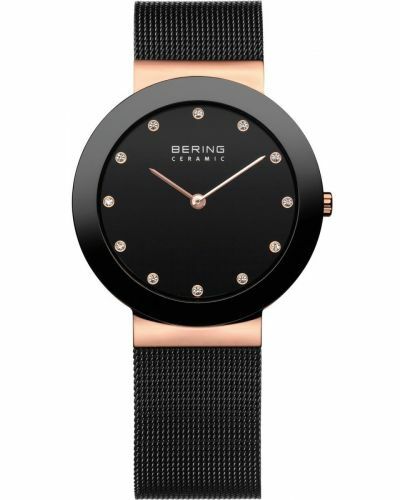 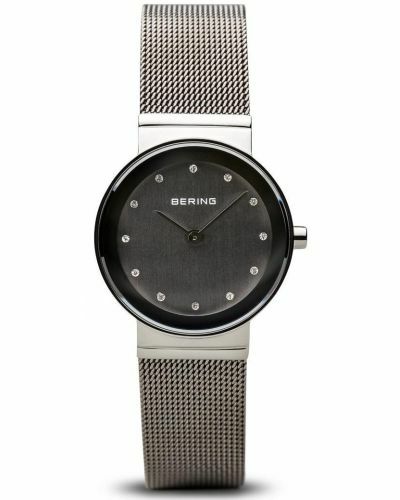 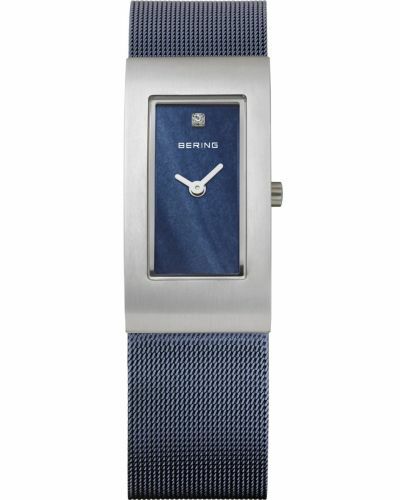 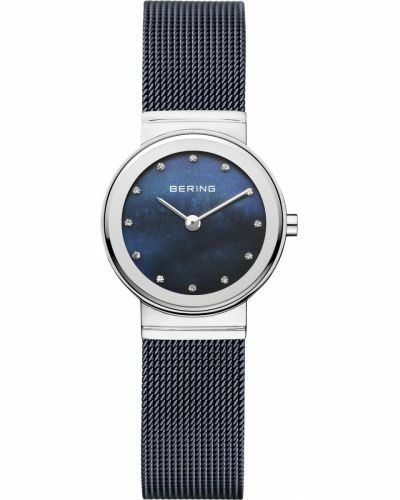 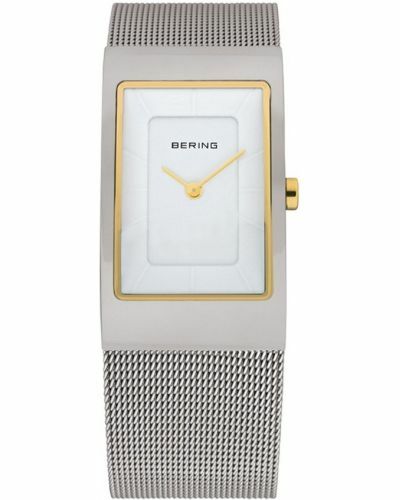 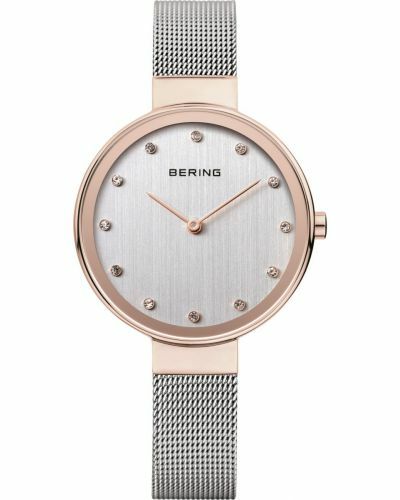 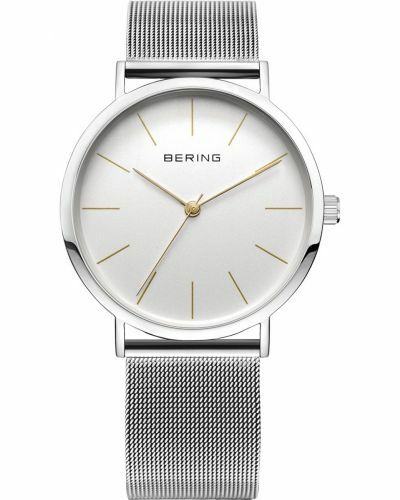 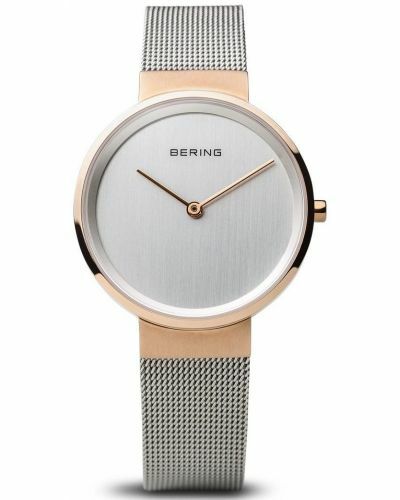 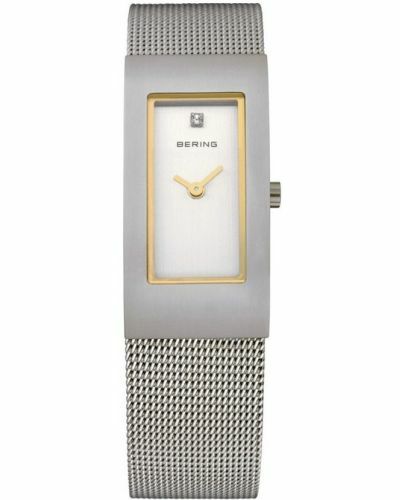 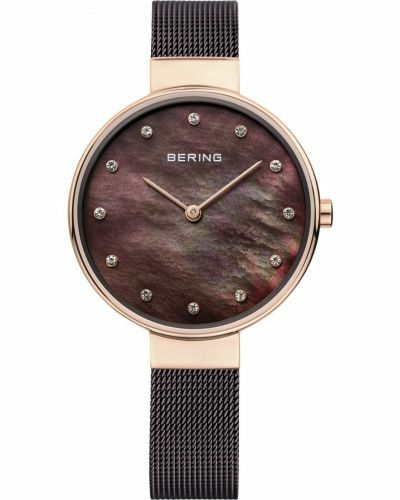 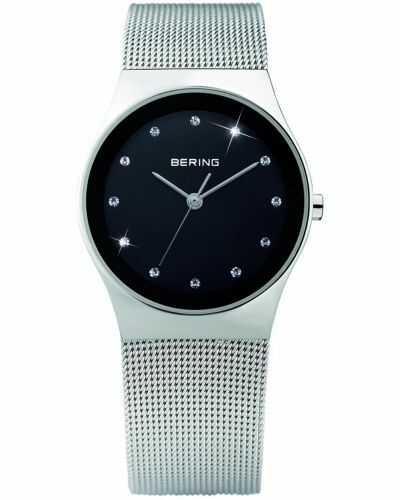 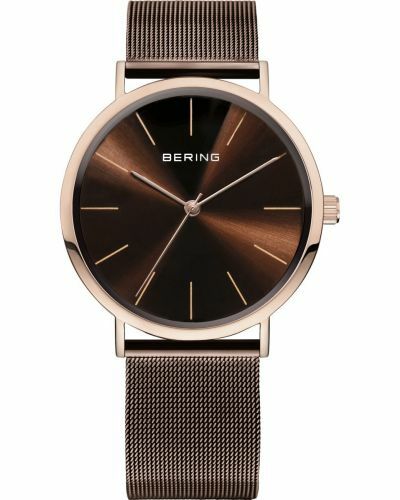 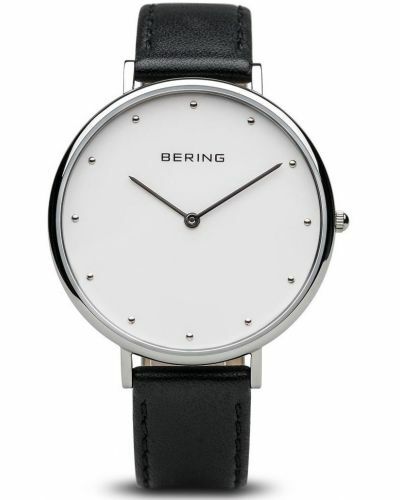 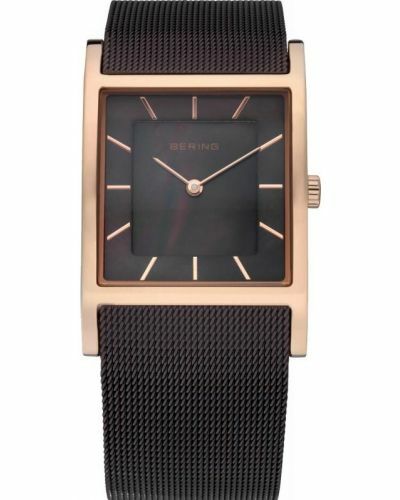 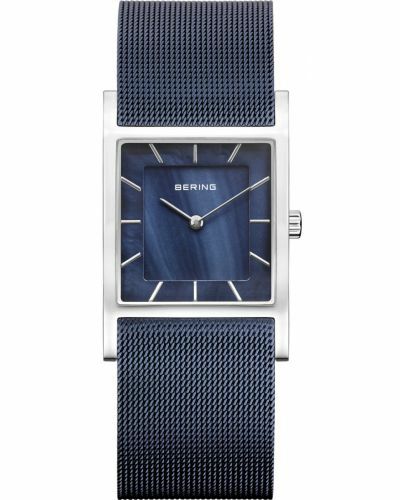 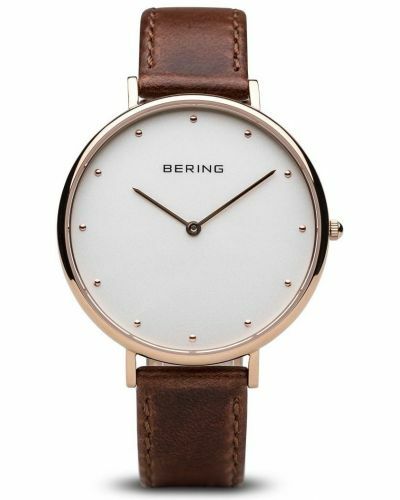 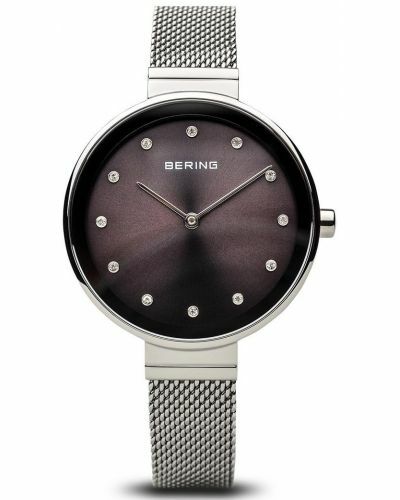 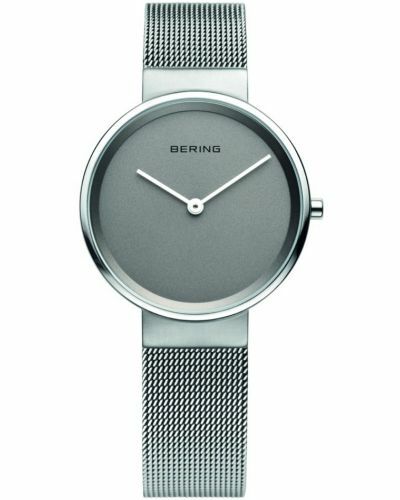 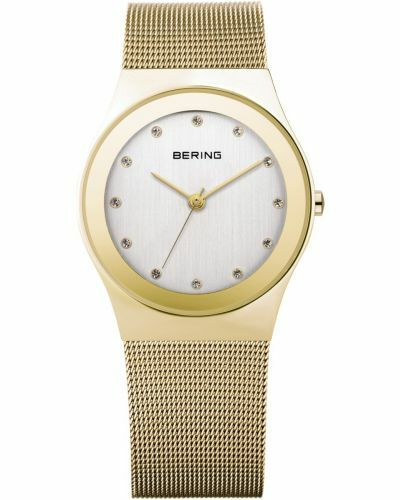 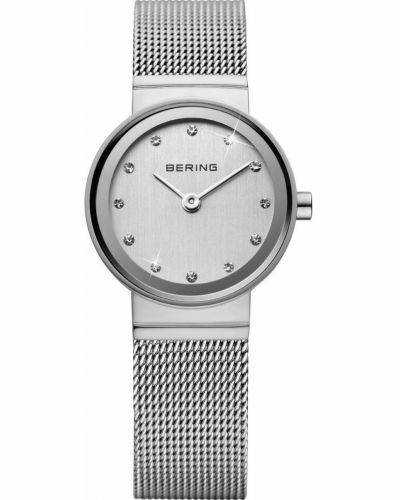 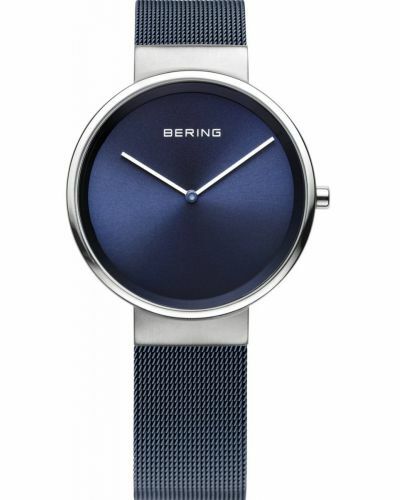 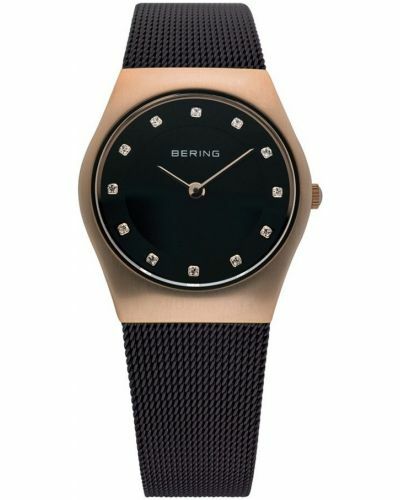 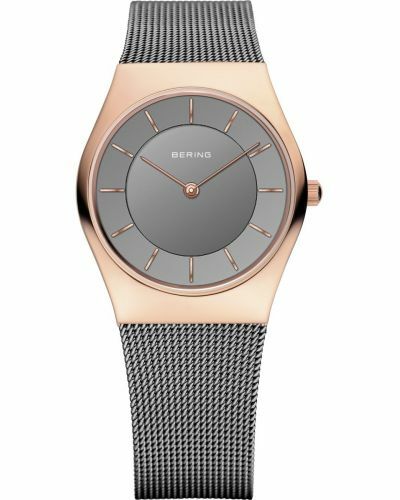 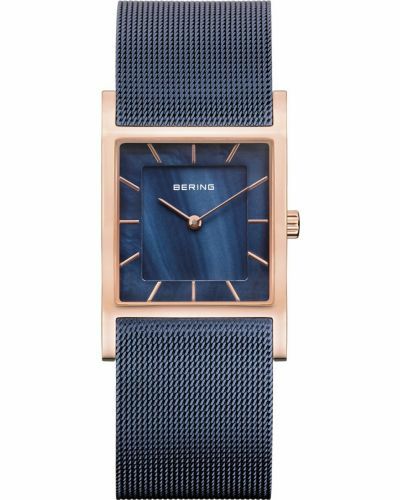 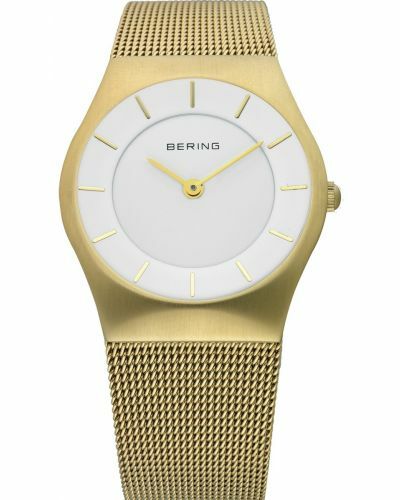 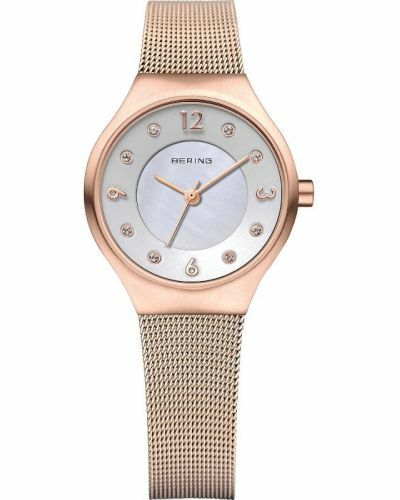 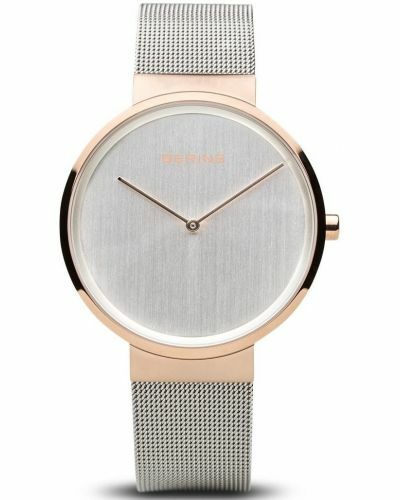 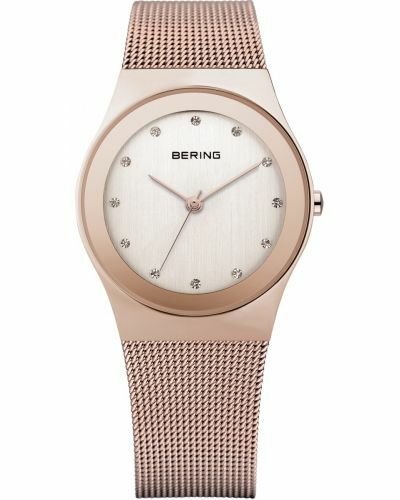 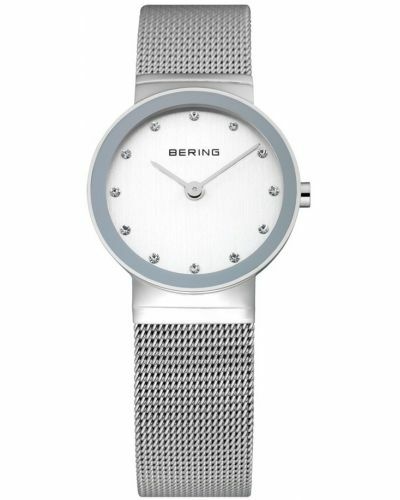 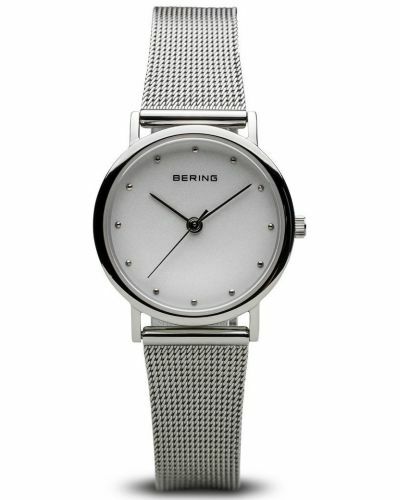 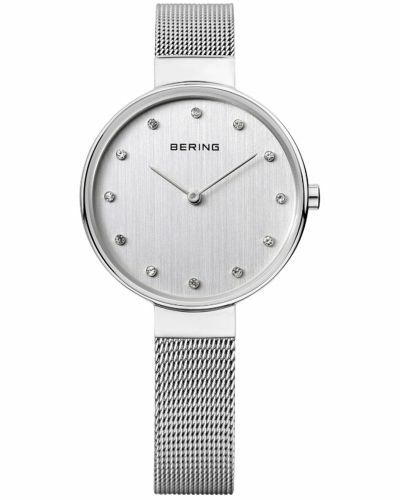 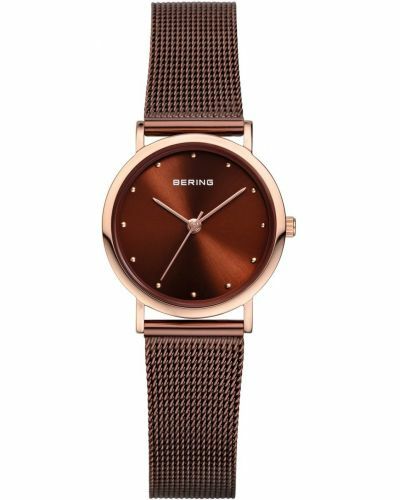 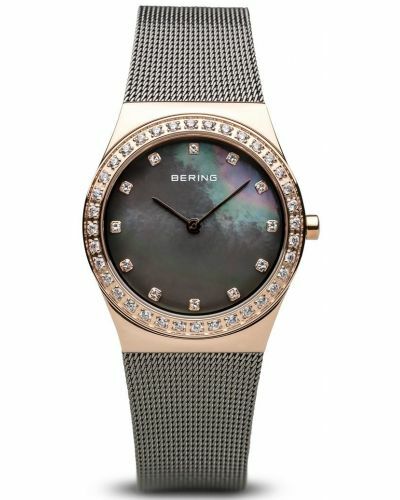 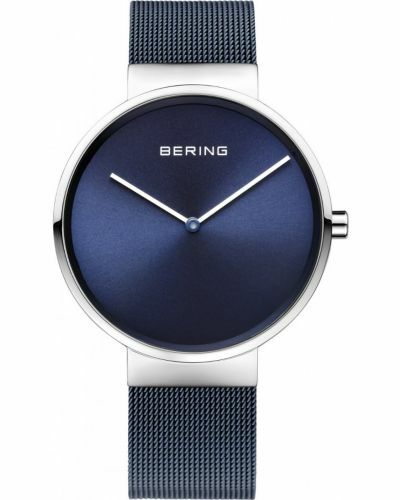 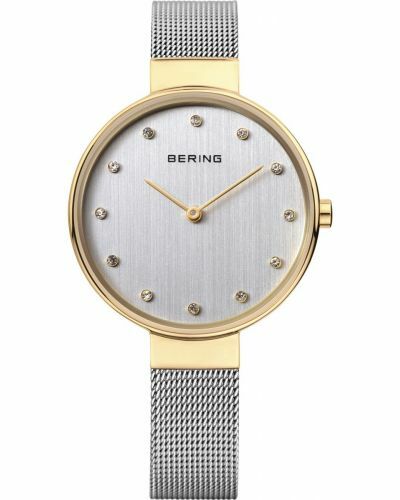 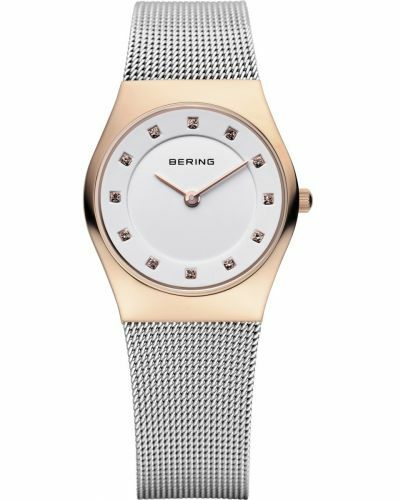 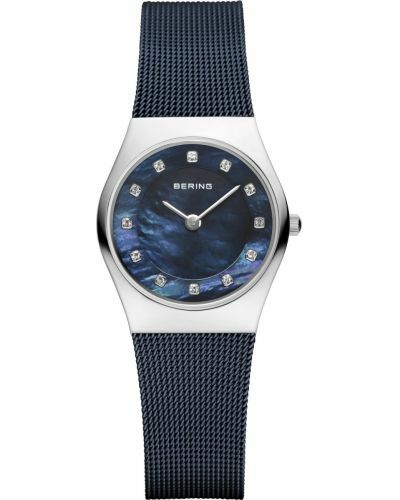 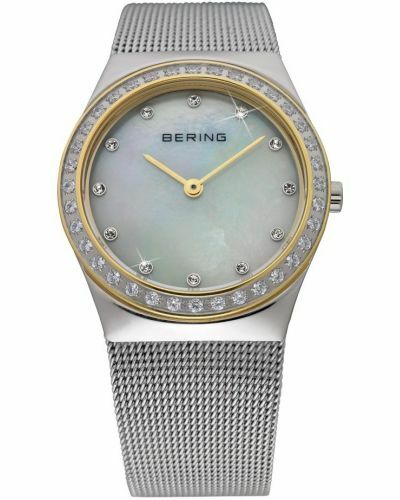 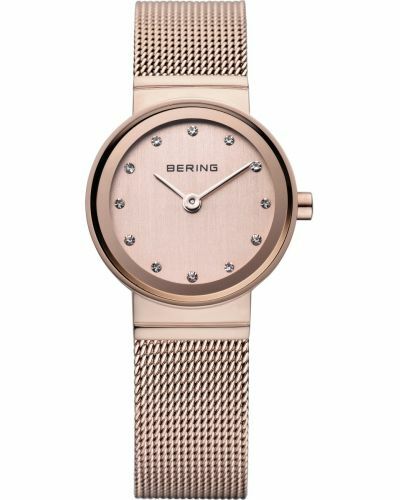 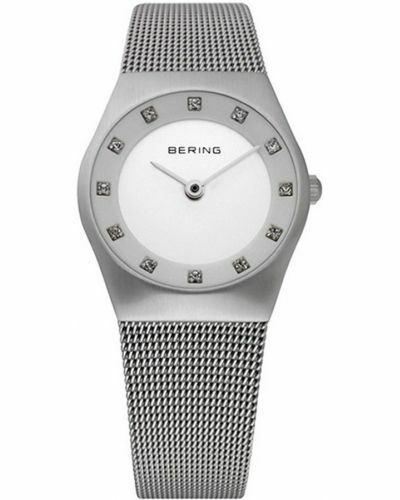 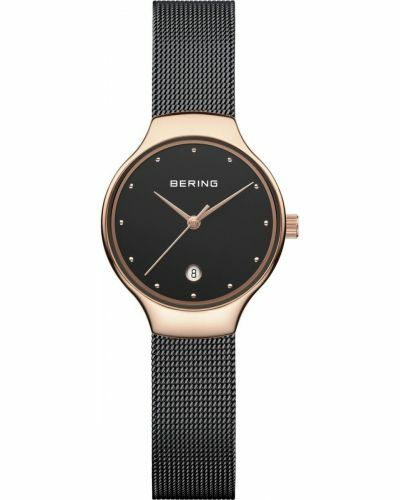 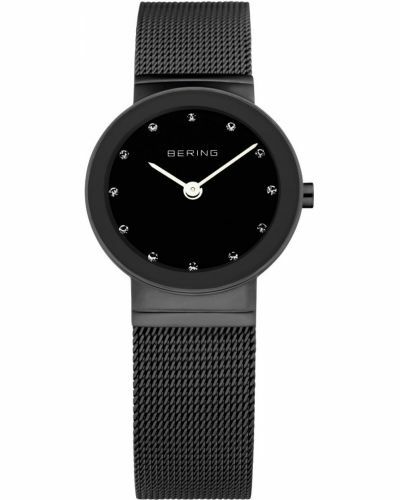 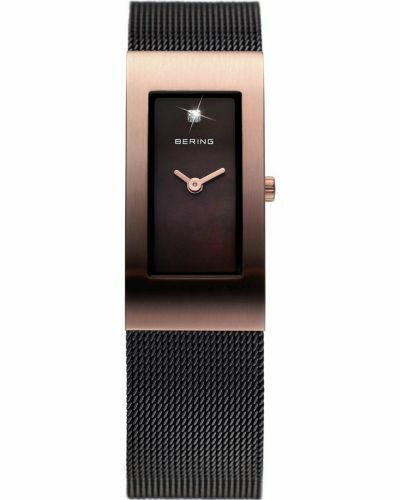 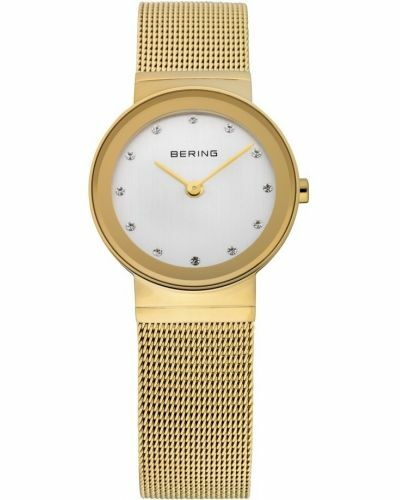 This stunning women's watch is brought to you by renowned Danish watchmakers Bering as part of their Classic collection. 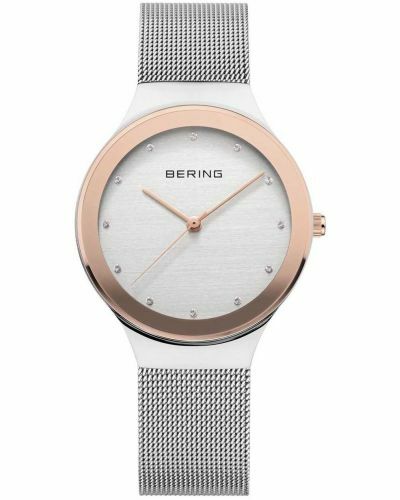 Featuring a 26mm round polished stainless steel case and bezel in which houses a striking crisp white dial with a beautiful rose gold outer ring in which compliments the rose gold batons and second hand. 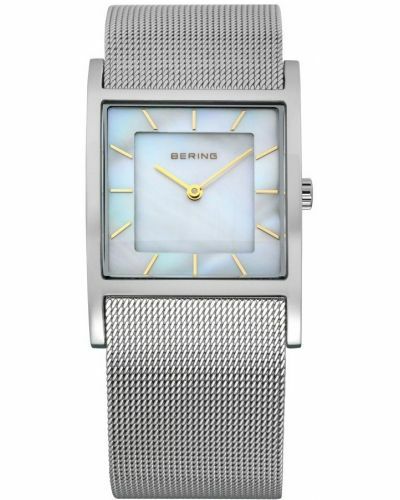 A small date display window is located at the 6 O'clock position. 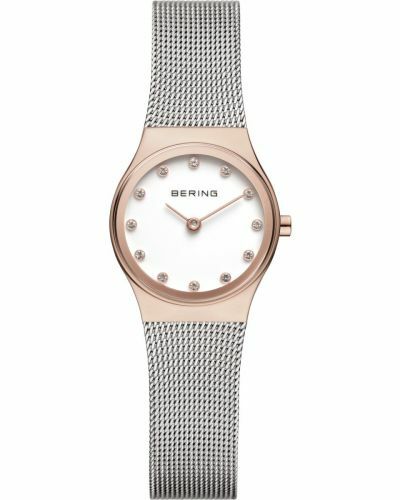 Set upon a fluid polished stainless steel milanese style mesh bracelet and fastened by a secure hook clasp with safety catch; this sophisticated watch is ideal for both formal and casual attire. 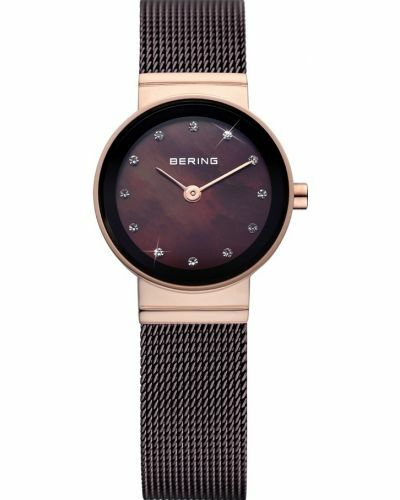 Powered by Japanese Quartz movement and protected by scratch resistant anti-glare Sapphire glass, this Bering watch is water resistant up to 30 meters and comes complete with a three year guarantee.